If you caught this month’s Sound & Communication Magazine, then you probably saw their interesting piece on the Atlantis Space Shuttle Experience. Astute readers out there saw that this unique and exciting exhibit included more than a dozen SmartAVI fiber optic extenders! 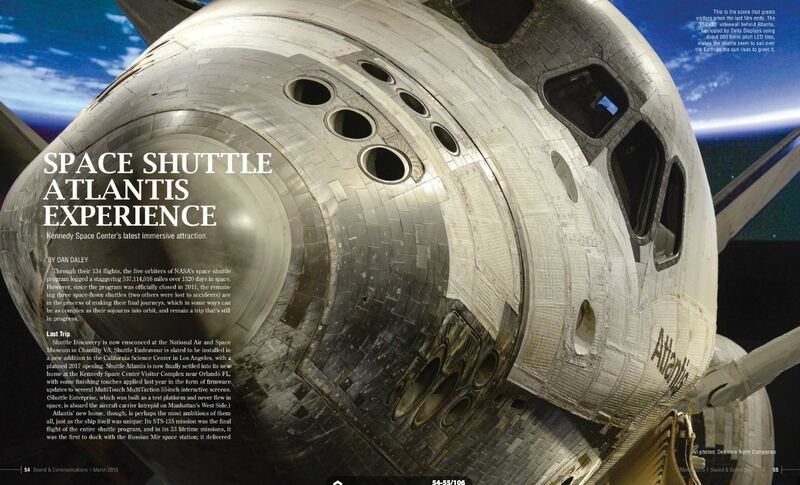 We are very excited to be included in the Atlantis Space Shuttle Experience and in the S&C piece. Be sure to read the story, and don’t forget to check out our site to learn more about our fiber optic extenders and, more specifically, our fiber optic DVI extenders. These extenders are a critical component of this installation because they can deliver uncompressed signals over very long distances with secure connections. Contact us today to get started on your fiber optic extender solution today! Categories: dvi extender, fiber optic, fiber optic extender, multimode fiber, Technology, Uncategorized | Tags: dvi extender, fiber optic, fiber optic cable, fiber optic extenders, multimode fiber, space shuttle, technology | Permalink. 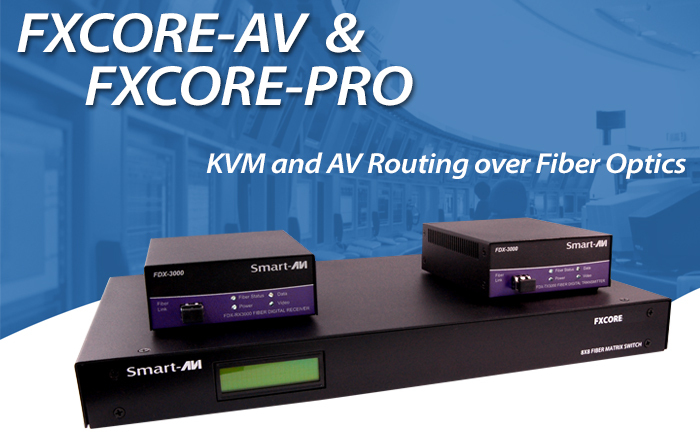 For the best in protected KVM (Keyboard, Video and Mouse) operation and HD AV signal routing up to 30 miles from point to point, there is no better solution on the market today than the newly released FXCore-Pro and FXCore-AV fiber optic matrix switches from SmartAVI. Each matrix features a configuration of 8×8 (eight fiber inputs and eight fiber outputs) with the security of anti-hacking security protocols and resistance to interference, grounding and atmospheric issues. The FXCore-Pro delivers quick and easy KVM switching and operation. With advanced OSD (On Screen Display) functionality, users can switch their control over eight connected PCs effectively and effortlessly, as well as broadcast from one computer to another. Categories: fiber optic, keyboard video mouse, kvm, video switch | Tags: fiber optic, fiber optic cable, keyboard video mouse, kvm | Permalink. Extend uncompressed HDMI signals up to 1,000 feet over multimode fiber optic cables with the new HFX video extender from SmartAVI. With support for 1080p and 4K Ultra HD video resolutions, you can get the most out of your HDMI video sources, including 3D video. 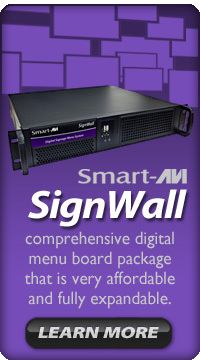 The HFX is the ideal device for flexible and clear HD video extension, and SmartAVI offers this solution at a low price. Categories: 4K Ultra HD, hdmi, hdmi extender, video | Tags: 4K, fiber optic, fiber optic cable, hdmi, hdmi extender, HDMI over Fiber | Permalink. The SFX-4P is a perfect solution for extending 4 DVI-D and USB 2.0 signals from a computer in a remote location up to 1,500 feet away. 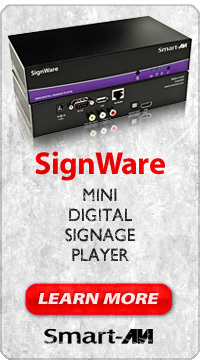 It supports high-resolution DVI-D video and all USB device types from high-speed web cams, hard drives, printers, scanners, audio devices, touch screens, digital cameras and game controllers. The SFX-4P is immune to electromagnetic interference, making it ideal for use in situations where there is considerable interference. 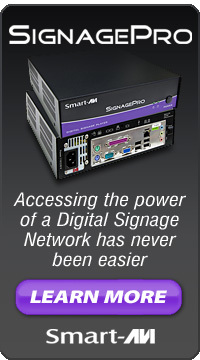 The SFX-4P is also very secure because it’s fiber optic signals cannot be easily tapped. Categories: dvi extender, dvi-d, fiber optic, keyboard, keyboard video mouse, kvm, mouse, multimode fiber, rs232, usb 2.0, usb extender, video | Tags: dvi extender, dvi-d, fiber optic, fiber optic cable, keyboard, keyboard video mouse, kvm, mouse, multimode fiber, rs232, usb 2.0, usb extender, video | Permalink. The SFX is a perfect solution for extending DVI-D and USB 2.0 signals from a computer in a remote location up to 1,500 feet away. It supports high-resolution DVI-D video and all USB device types from high-speed web cams, hard drives, printers, scanners, audio devices, touch screens, digital cameras and game controllers. The SFX is immune to electromagnetic interference, making it ideal for use in situations where there is considerable interference. The SFX is also very secure because it’s fiber optic signals cannot be easily tapped. Categories: dvi extender, dvi-d, fiber optic, keyboard, keyboard video mouse, kvm, mouse, usb 2.0, usb extender, video | Tags: dvi extender, dvi-d, fiber optic, fiber optic cable, usb 2.0, usb extender | Permalink.